We've been trying these great natural firefighters from flamers for a BBQ we recently had. 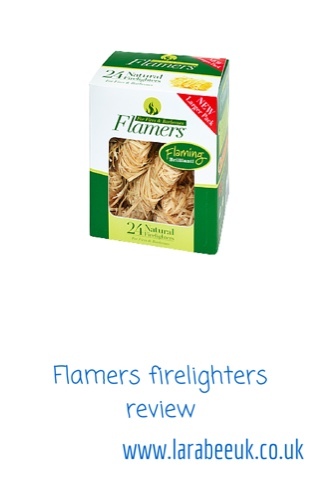 Flamers are completely odourless which I really like as I hate the thought of chemical fumes transferring to the food your cooking. 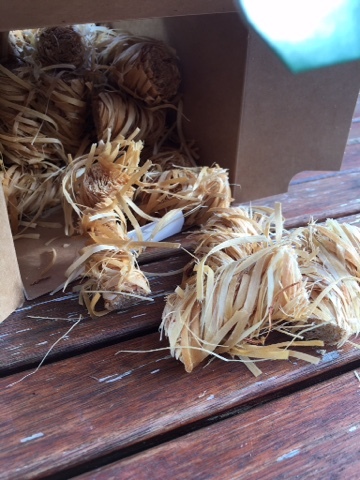 Made from wood shavings and natural wax, flames burn with no mess and are perfect for both indoor fires and BBQ's. 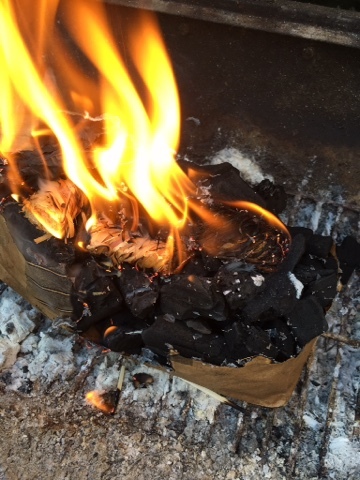 It head are definitely going to be in our camping kit as they were so easy to use and made lighting our BBQ even easier what's more, they left no mess at all. Flamers can be purchased from Amazon and retail at £11.99 for 24, I used 3 for our BBQ but I actually think 2 would have done the job! 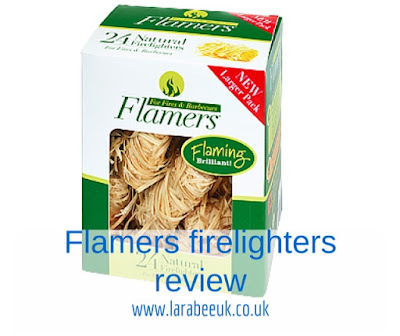 Disclaimer: we were sent a packet of flamers to review, all opinions are our own.